The owners’ vision for the Westfield Marriott was to bring certain aspects of the space into compliance with newer codes and reflect a more modern, elegant look overall. Our task was to achieve these goals without interrupting service for hotel guests, while under an extremely tight deadline. This fast-paced project required that we work very closely with the design team and contractor, First Finish, to assure a perfect translation of their vision via our work, with no time to spare. 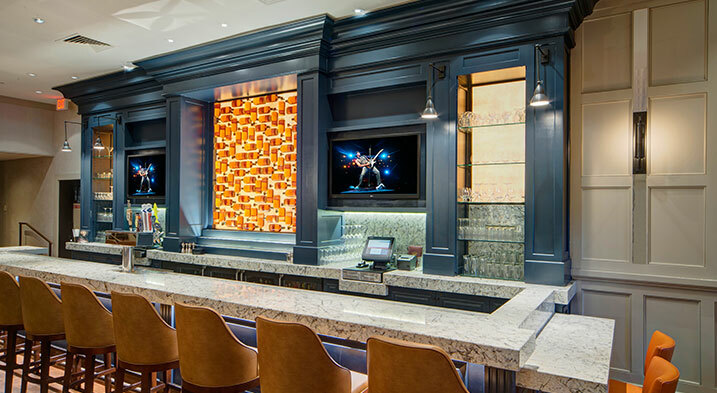 In Wellington’s, the hotel’s pub, we created a new back bar and added an ADA-compliant area to the existing bar to bring it up to code. 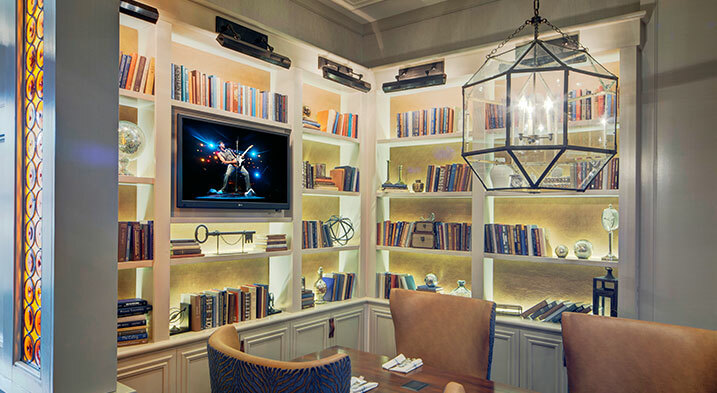 We also did a complete update of the bar to reflect the new direction desired for this space, which included a painted mill work wall, a library installation, panelization, cabinetry, an elaborate whiskey bottle art feature, and matching whiskey bottle end panels that were used at the end of divider walls. 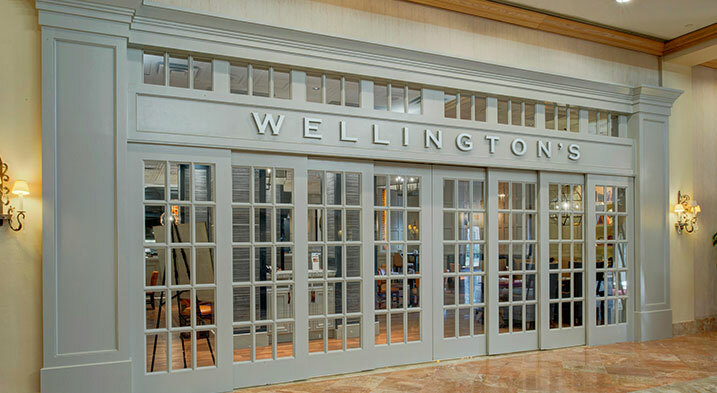 We achieved a more luxurious look for Wellington’s entrance with an elaborate glass and wood doorway from the hotel area. We took on the Westfield Marriott project knowing it would be a fast-paced challenge, as so much of our work is. With a 24-7 collective effort, we got the complex art features done, along with all the other construction and installations. Our client was very happy with the final results of the art pieces and the entire build-out.